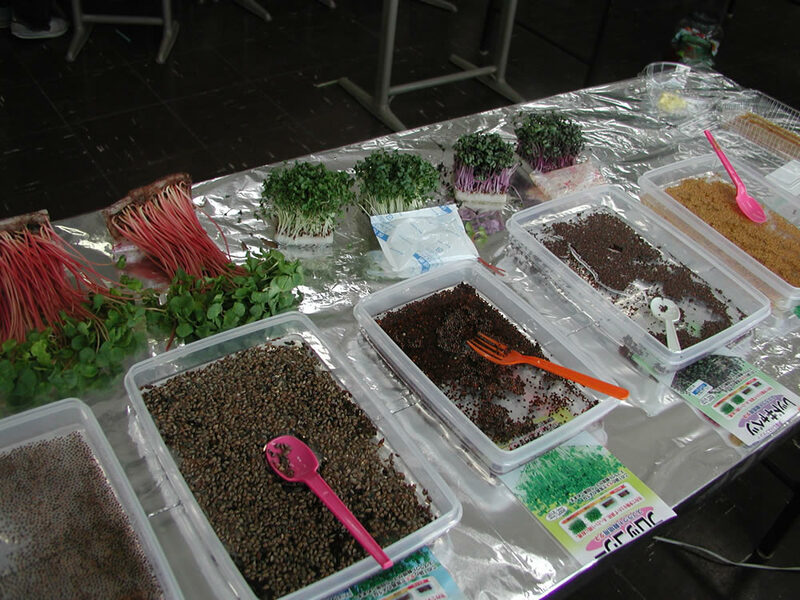 Nature colour of soils.The preparation for a green workshop. 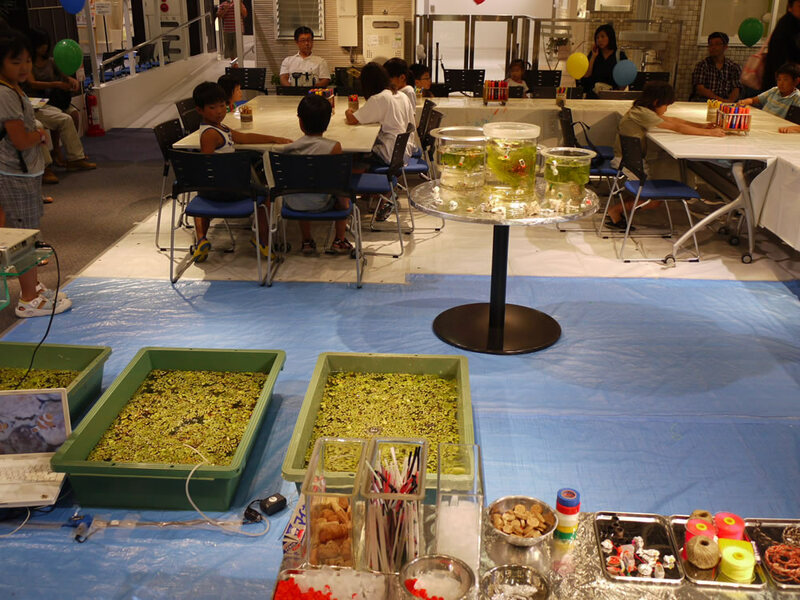 The green workshop for kids"Let's create your lawn garden"at Tokyo Gas Wonder Site in summer 2011. 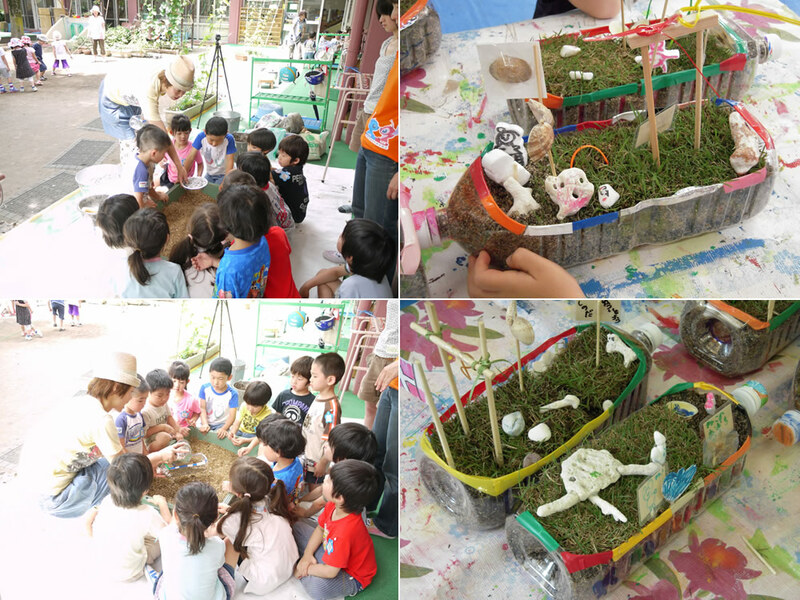 This green workshop at a public kindergarten in Toshima Ward, Tokyo. 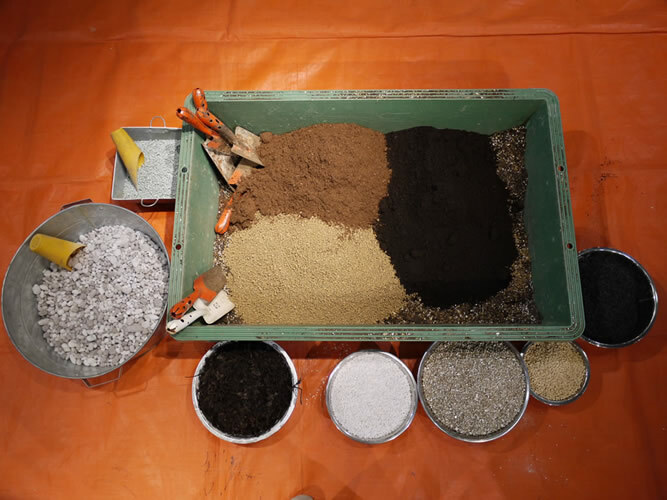 We blended many kinds of soils that I arranged the mixture (like the top pic above), so that the soil was nicely nutritious condition for planting lawn sheet in a plastic bottle. 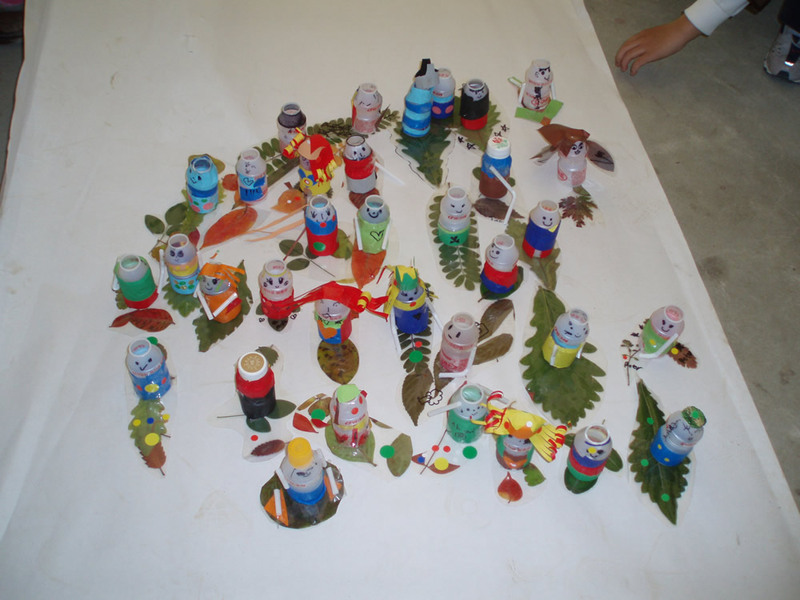 Also I explained the each soils' character. They heard my words more carefully than i expetced. 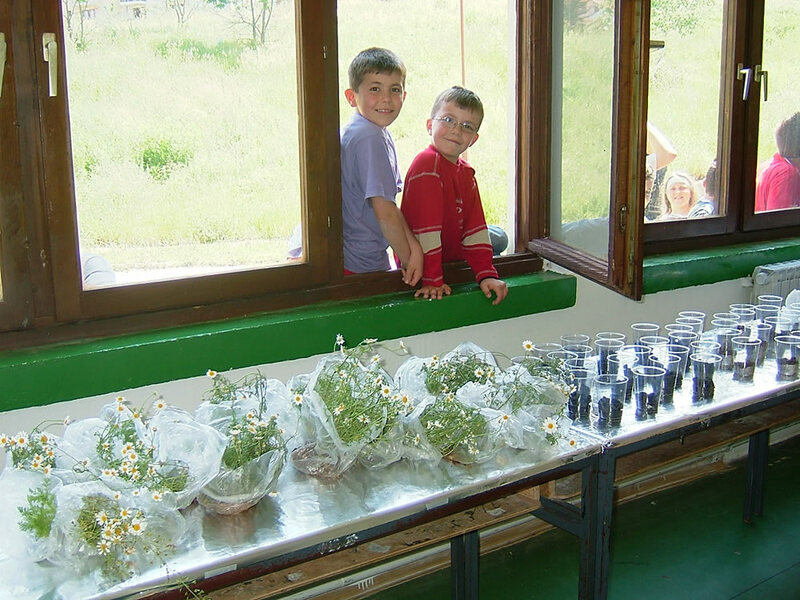 The picture is the one snap of preparation at a public elementary school at Bitla in Macedonia. 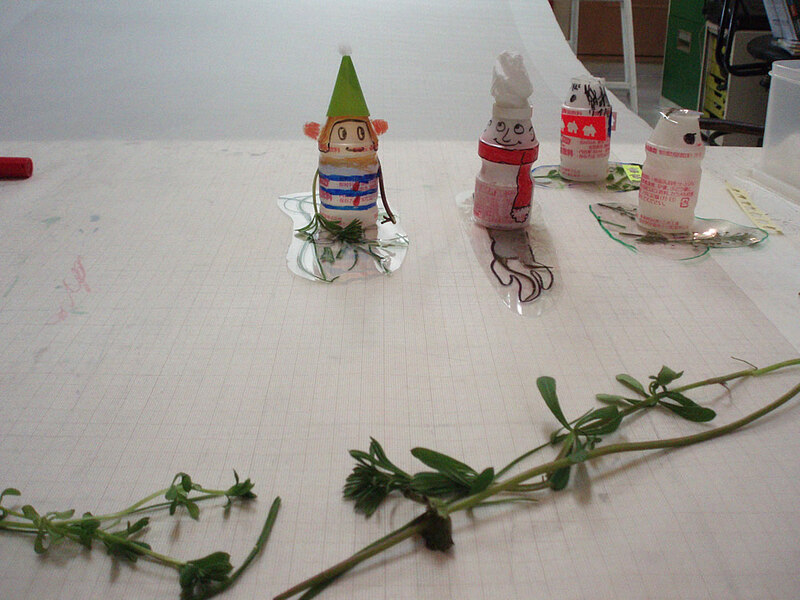 At that time, I collected "Camomiles" that a native plant like a weed around that town (it was really amazing for me!) and Japanese charcoal for a planting workshop. The familiar staff and exotic one. 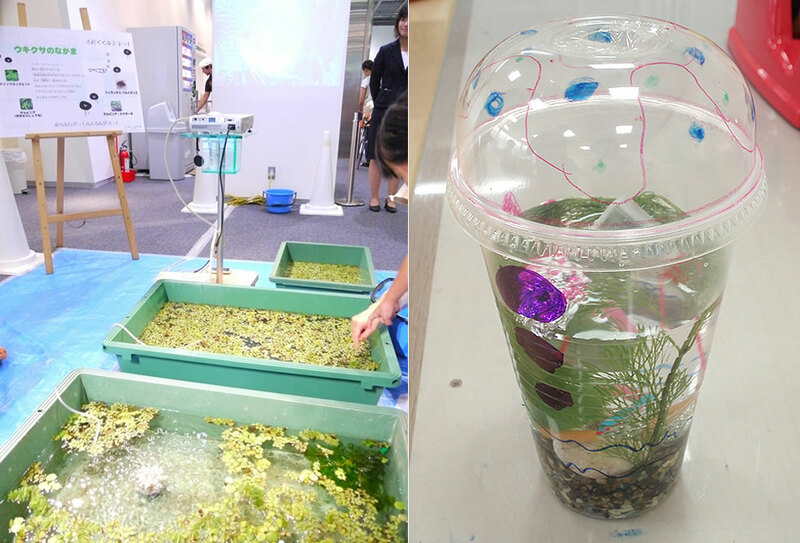 The workshop "let's imagine under the water" at Tokyo Gas Wonder Site in summer 2011. 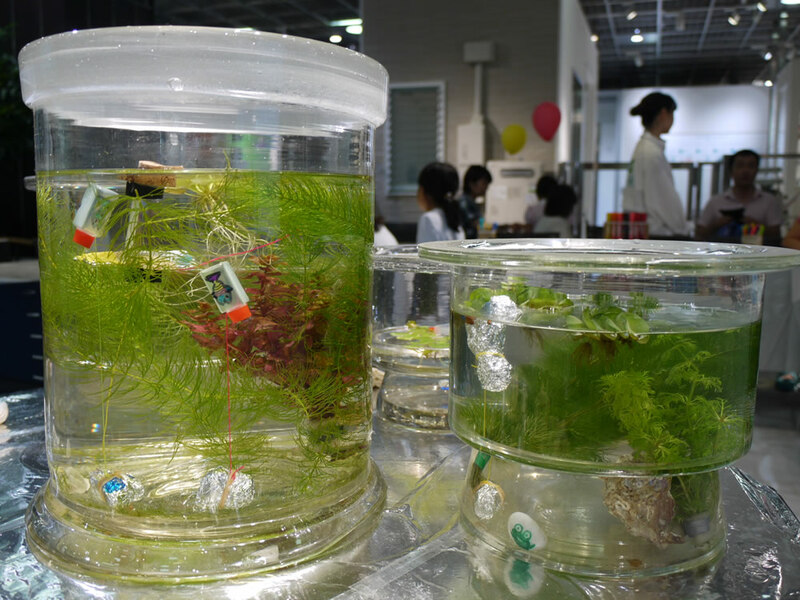 I used several kinds of water plants for that. 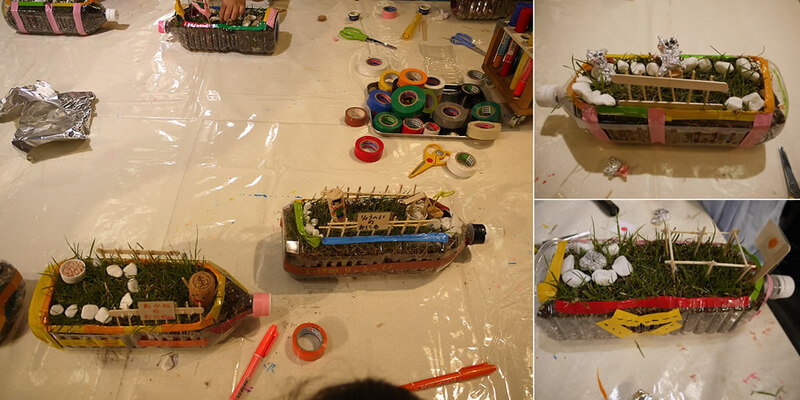 Always I put an importance on the green workshops for kidsthat I create the space. 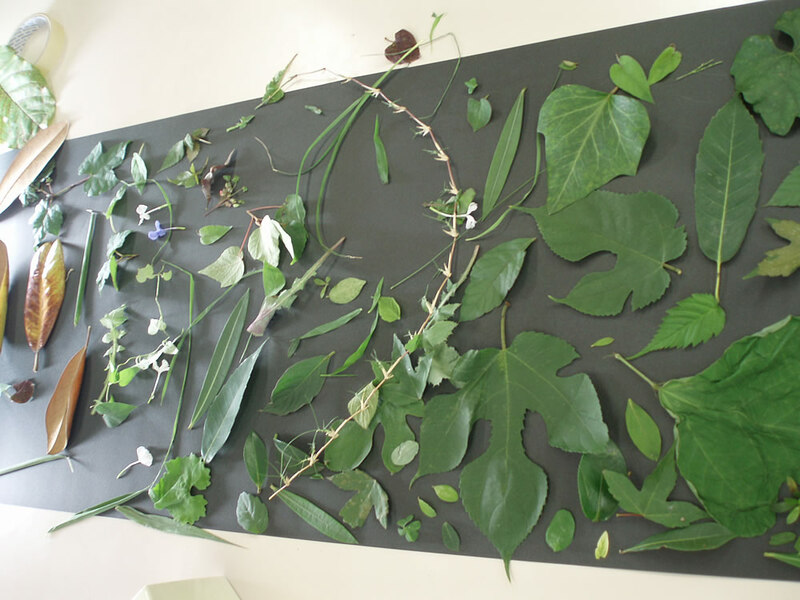 In which they touch greens with joy and can feel adoreness or interest in the colour, shape, growing and energy. 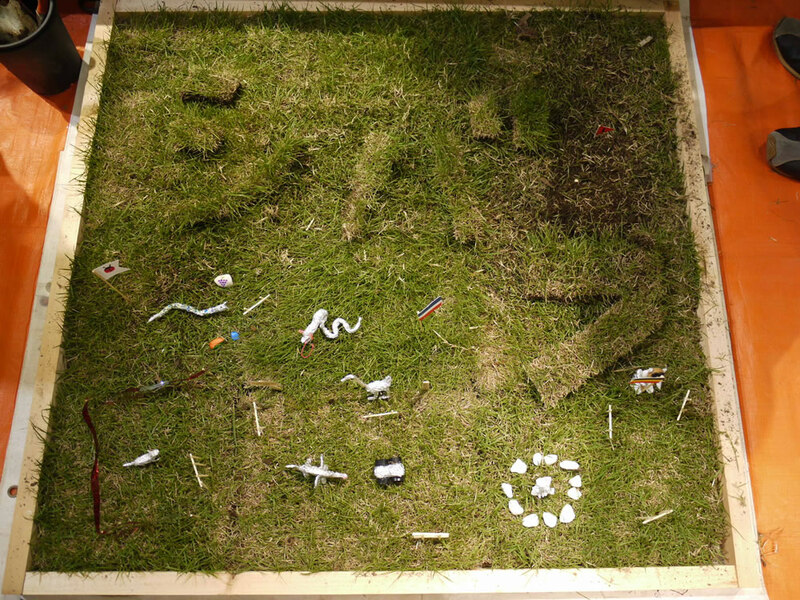 This workshop was "Grass skiing". 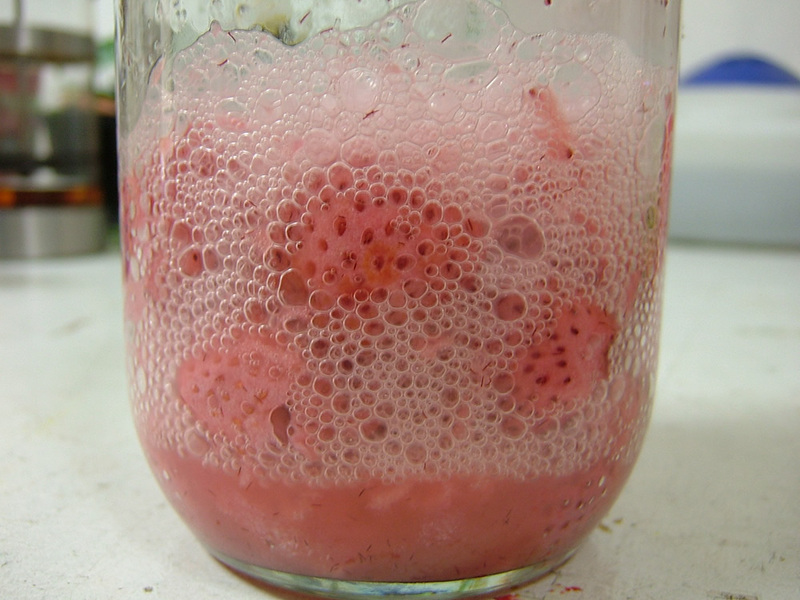 At first we drink Yakult (very native fermented milk drink in Japan) , washed the bottles and dried them. 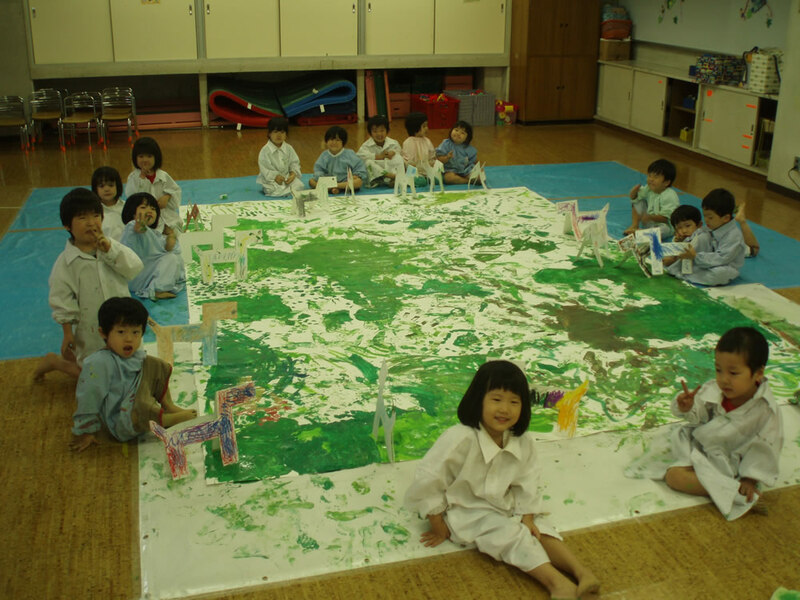 While, we laminated leaves, then cut them as making snow boards and put the bottle on the laminated sheet to make a snow boarder. 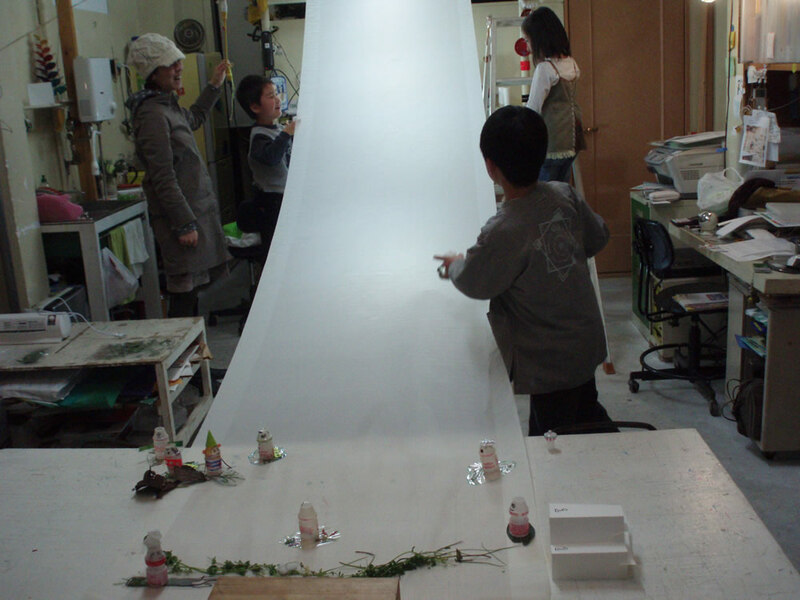 Finally we let a lot of snow boarders slide from the top of semi translucent paper roll as a hill to do a race. 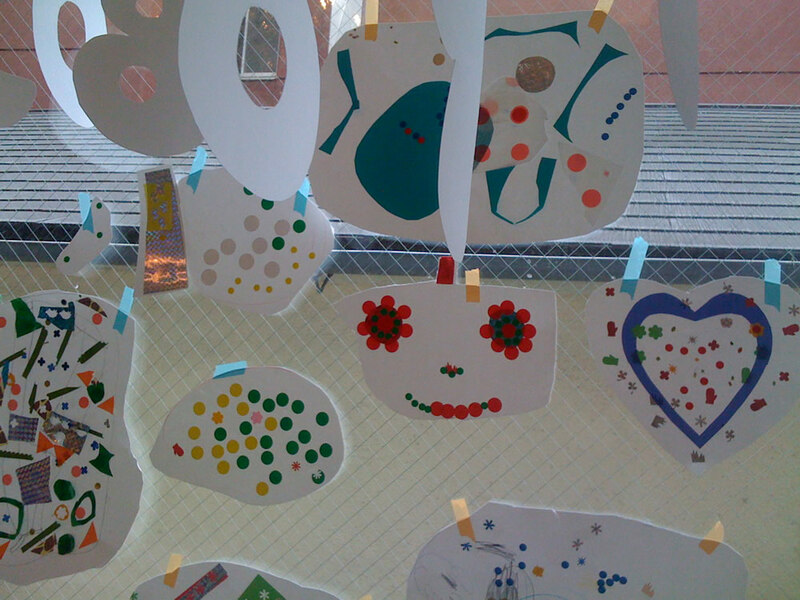 The special workshop on the green day 2010 at Setagaya-monotsukuri-gakkou ~"Let's make your robots and plant and eat sprouts!" 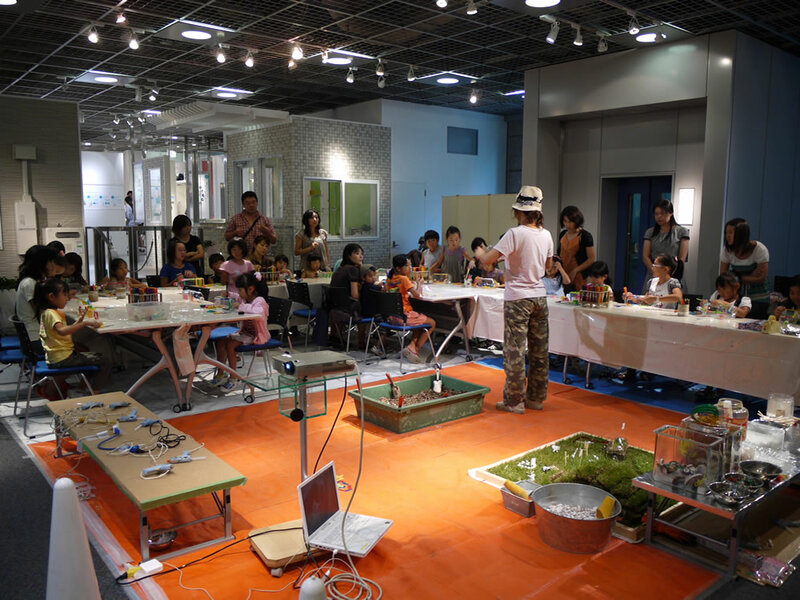 The workshop "feel leaves and draw picturebook" at the open day of Kitanaka-brick corporated by BankART1929. 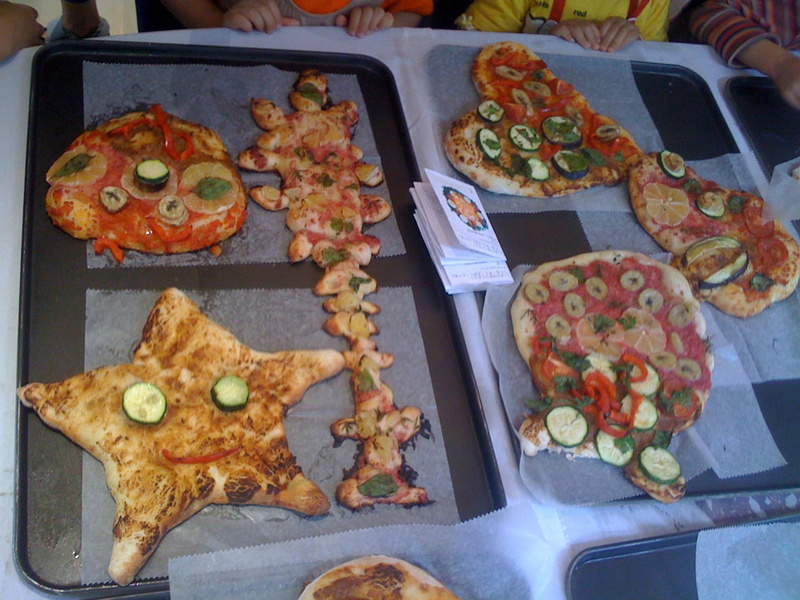 make pizza with their fruits ferment. 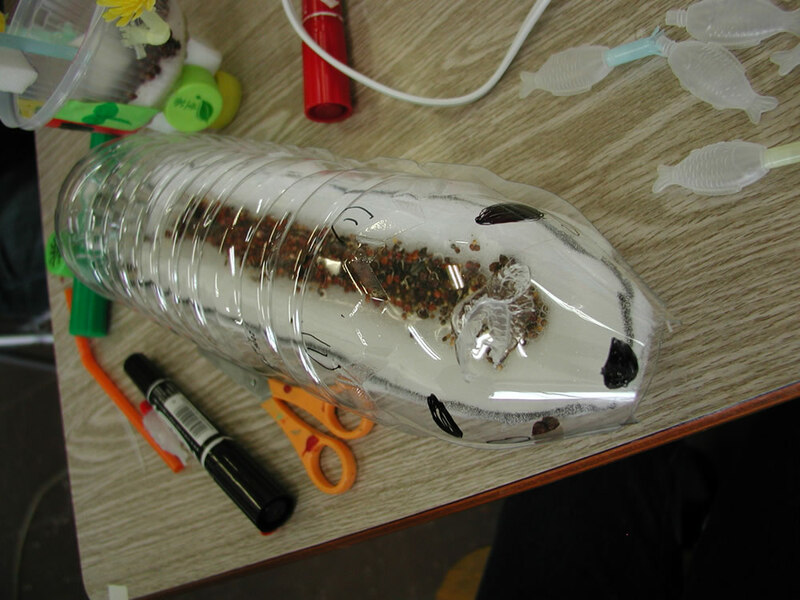 Imagine their own bubbles inside the bottles then expess with coloured papers. 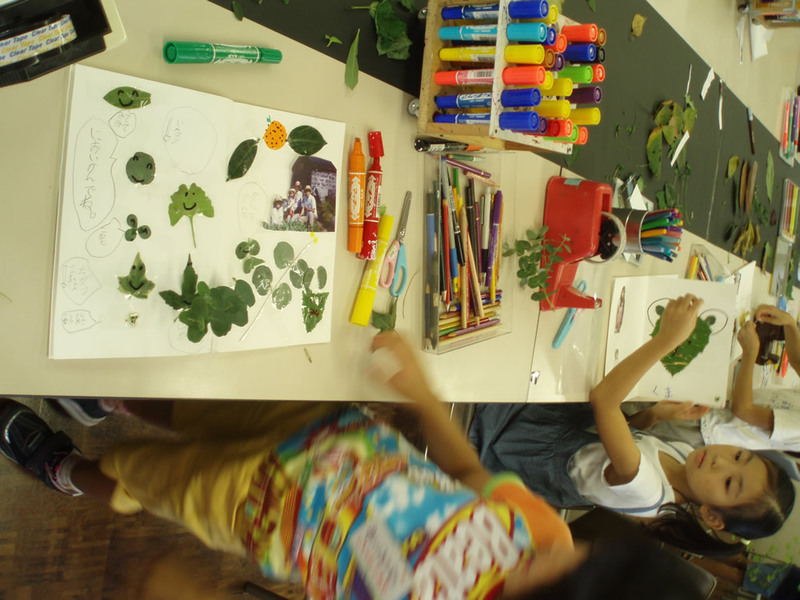 The workshop "Let's let your ponny eat grasses" at a public nersery organised by NPO Children Meet Artists.